Even after washing, masking tape leaves behind a sticky residue that picks up and harbors dangerous bacteria. This residue can also cross contaminate product with food allergens. 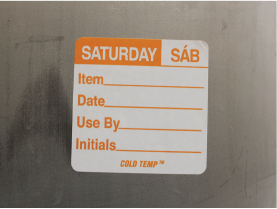 Rotation labels are made to withstand the harsh conditions of a kitchen environment and are available in multiple layout types and materials specifically for restaurant applications. From a distance, every strip of tape is identical to the next. Mistakes and legibility issues are more common, and likely to lead to serving a dangerous product. 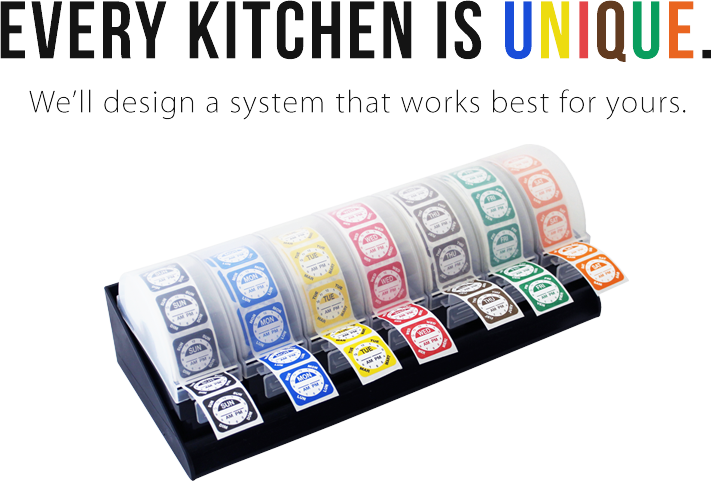 Labels are color coded and are designed so that important information is easy to identify at a glance. 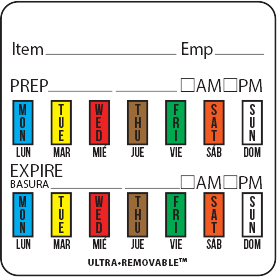 The preparation and/or expiration day is also displayed in multiple languages. Let’s face it. Tape is useful for a number of things when you’re in a pinch, but depicting quality and care is not one of them. What does a “temporary fix” say about the quality of your food rotation? 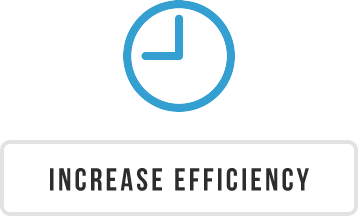 A well-planned rotation program portrays a sense of quality and consistency that will carry-over to your staff, product and customers. 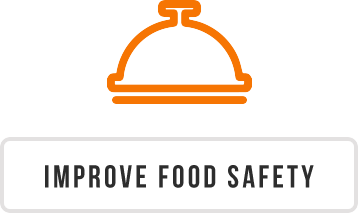 With a clearly defined label program, your staff will have a genuine understanding and appreciation for their employer’s procedures regarding food rotation. There will be no more guessing or confusion. 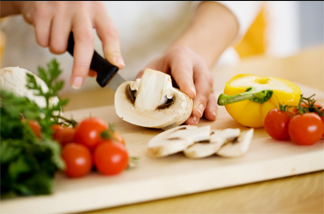 There is no question that a rotation label program will add to the freshness and proper rotation of your food. An organized system will function much smoother and produce better results. 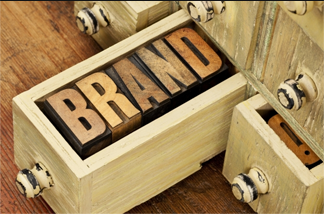 The quality and consistency of your product has a powerful effect on the way people perceive and relay your brand. 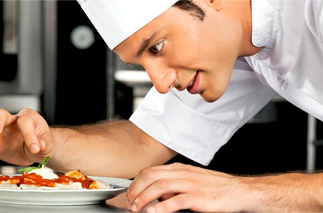 Protect your image by promoting freshness and ensuring food safety. Which Material Type Fits Your Needs? Dissolve-It dissolves away completely in 30 seconds with any water temperature. Gone are the days of scrubbing that sticky stuff off of your pans! 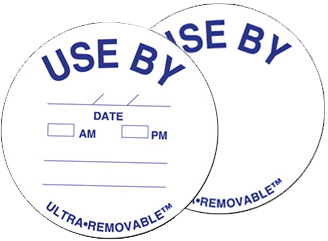 Leave this label on your reusable container, place it in the dishwasher, and the dishwasher will do the rest. 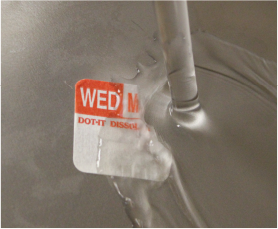 Dissolve-It is a great solution if you wish to eliminate the labor of scrubbing labels off of your pans. 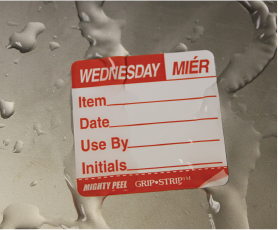 Mighty Peel is a durable, plastic material with a special removable adhesive that allows the label to remove cleanly every time. It is water resistant and holds up well in any kitchen environment. 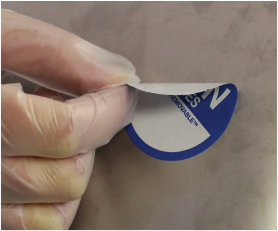 The special removable adhesive makes the labels re-positionable, allowing you to move the label from one pan to another. Ideal for reusable containers. 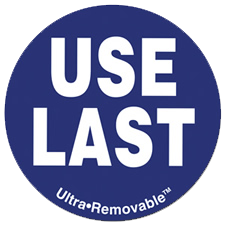 Like Mighty Peel, Ultra Removable has a removable adhesive, but has a basic paper face. 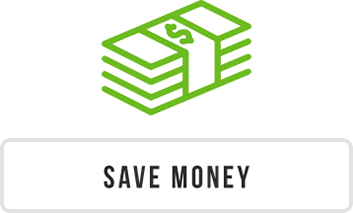 Because this material is less expensive, it offers a more cost effective option while providing an effective removable alternative. Ideal for reusable containers. 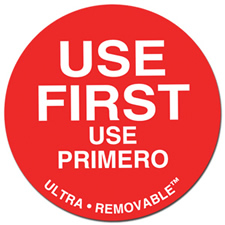 Cold Temp labels have a strong, permanent adhesive. It is designed for freezer applications, such as frozen containers or containers that will be submerged in ice. Cold Temp is also great for disposable containers, plastic wrap, and foil. WHICH LABEL TYPE FITS YOUR PRODUCTS? 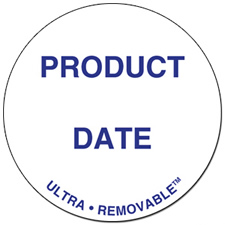 Label for written product name and prep date. Great for packaged meats, produce and deli items. Available in basic or detailed write-in versions. Great for back of house meats, produce and pre-made ingredients. Color coded to indicate earliest prepped items. 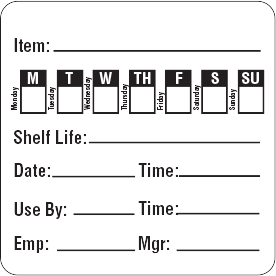 Great for back of house usage rotation. Color coded to indicate latest prepped items.